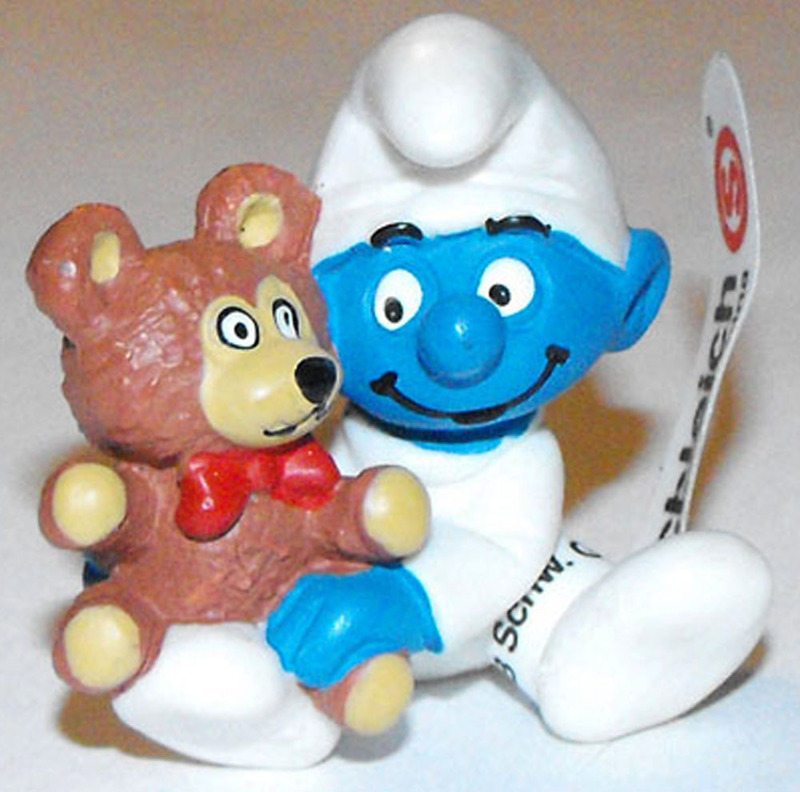 20205 Baby Smurf with Teddy Bear Plastic Figurine, about 2 inches tall. Brand new and never used. Figurine comes loose without any packaging but does come with Schleich tag.